Live Gulf of Maine sea life shipped to you overnight. We specialize in marine invertebrates and sea plants. Purchase live sea life. 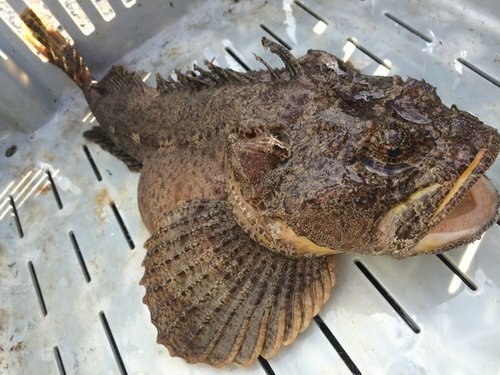 Over 200 species of sea life catalogued, photographed, and described. Sea life also available frozen and preserved for educational purposes. Reversing Falls, Cobscook Bay, Pembroke, ME. Arthropods. Invertebrate animals having an exoskeleton, a segmented body, and paired, jointed appendages. Bony fishes. Vertebrate fish having mineralized, internal skeletons. Brachiopods. Animals having mineralized valves on their upper and lower surfaces, unlike the left - right arrangement of bivalve molluscs. Bryozoa. Colonial organisms that filter feed. The only way to distinguish between the 15,000 bryozoan species is by examining internal structures under magnification. Cartilaginous fishes. Sharks, skates, hagfish, and sea lampreys have entirely cartilaginous skeletons. These creatures predate the existence of dinosaurs and still swim the oceans today. Cnidaria. Stinging cell animals including jellyfish, anemones, hydroids, and coral. Echinoderms. Sea stars, sea cucumbers, sand dollars, and sea urchins are all a part of this diverse, radially symmetric phylum! Gulf of Maine assortments. 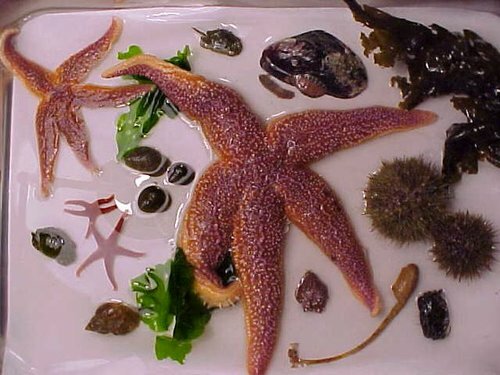 Tidepool Study Kits, Ecology Lab Collection, Cold Water Aquarium Assortment, and Gulf of Maine marine phylum assortments. Macroaglae. Seaweeds release dissolved oxygen into seawater, take up heavy metals, and contain an array of vitamins and minerals. Molluscs. Soft, unsegmented invertebrates having mineralized exoskeletons. Plankton. Free-floating organisms responsible for most of the secondary productivity of the ocean. Saltwater plants. Hydrophytes are plants having roots that are able to tolerate salt and occupy sea shores. Sponges. These animals are multicellular and threaded by pores and channels filled with flowing water. Tunicates. Sea squirts are very primitive chordates! They are an evolutionary relic. Worms. Segmented marine worms are extremely diverse in their abilities and their colors. Substrates. Sea water, muddy silt, fine sand, cobble, and shale. All orders are specially hand-collected on a 'to-order' basis. Specimens are carefully packed in foam boxes with gel ice packs and oxygen enriched seawater to assure safe travel to our clients. We specialize in delivering specimens on the date they are needed. Purchases of sea life from Gulf of Maine support a very rural economy and a unique group of fishermen, divers, diggers, & collectors in our part of Eastern Maine. Revenues help us provide our local schools marine life exhibits, field trips, and charitable donations.